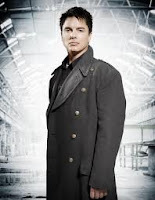 Captain Jack (the spacey, timey-wimey one) has recently spoken to The Los Angeles Times about the Doctor Who 50th anniversary and whether Captain Jack Harkenss will be making a return. "If there is, I haven't been asked... Personally, as a fan of the show, I would be disappointed if Capt. Jack was not involved." As with all speculation surrounding the historic show, nothing is being given away. Everyone at type40 news would enjoy seeing Captain Jack Harkness back on our screens. We will just have to wait and see what happens. 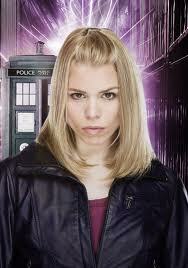 Billie Piper has appeared on The Graham Norton Show where she seemed to make it clear that there would be no return for marmite companion Rose Tyler for the upcoming anniversary. Rumours of Rose's return to the show began following comments made by Matt Smith last year where he stated that if he were to have any companion from the past, "I would have Rose." Piper's recent appearance on The Graham Norton Show however crushed any rumours. "No. I've not been asked... I think Matt Smith said something in passing or in jest like, 'That would be nice, and it became something, but no." It looks as though Rose will remain in her alternate universe. 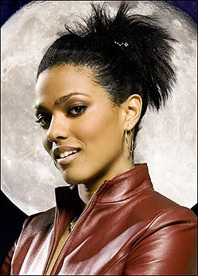 Freema Agyeman has spoken to Crave Online about her role in the Doctor Who 50th annniversary show. However, she states that there will be no Martha. "I got misquoted hideously once saying that there are some rumblings going on about being involved in the 50th in terms of drama. It's not." she said. She continued: "It's in terms of conventions and interviews and things like that, which we're all doing stuff to promote the 50th. We have to. It's the Doctor Who family and we want to." Again, there is so little known about the 50th anniversary that we won't rule anybody out of returning. 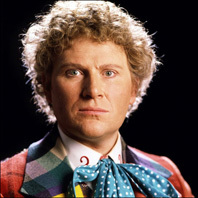 Just as we were getting excited following the rumour of Matt Smith being joined by his seven surviving predecessors, sixth Doctor, Colin Baker, has denied the report. Almost immediately following the reports, Baker tweeted: "Alas apart from The Big Finish [audio drama] plans I am not aware of any 50th stories nor have I been approached." One fan tweeted to Baker suggesting that he could be covering up the truth about the anniversary. Baker responded by tweeting: "There's no point in me tweeting if you don't believe me." More rumours. More denials. Only the Moff knows what is going to happen. Game of Thrones and Harry Potter star David Bradley has been confirmed to portray the First Doctor in Mark Gatiss', An Adventure In Space and Time, a drama focussing on the creation of Doctor Who. Bradley is no stranger to the world of Doctor Who, having played the space pirate, Solomon in the Chris Chibnall episode, 'Dinosaurs On A Spaceship' and frankly, we think he will do a fine job in bringing the first incarnation of the Doctor to life. Steven Moffat has spoken about his feelings regarding the Doctor Who 50th anniversary show to the Radio Times. 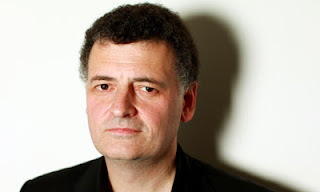 Although the interview was more focussed on the fast approaching second half of season 7, Moffat did mention the 50th. After a rather lacklustre opening half to the new season, Moffat has some extremely high expectations to satisfy. Doctor Who has a return date of March 30th on BBC One.